How do I make a career in Special Collections? Guest post by Alison Cullingford, author of The Special Collections Handbook. Why work in Special Collections? Special Collections work is fantastically rewarding: one never knows what will happen when the phone rings or a new email comes in. It is a joy to bring hidden collections to life, to see how they inform and inspire users. Special Collections is a sector which is booming and full of confidence and innovation. Many universities and other organisations are realising that in tough times their collections are unique and distinctive assets, and investing in premises, and, crucially, staff. As with most heritage and arts careers, Special Collections work is popular and therefore competition for jobs can be significant. The widest range of opportunities is probably in London or ‘Oxbridge’, though do not despair: there are jobs in national libraries, research libraries and universities, cathedrals etc all over the UK. Permanent roles are scarce so project work is often the way to get into the sector. Here are some tips to help you build a career in Special Collections despite the challenges. Historical bibliography: how items in collections were made. Preservation: how to look after collections. Cataloguing: how to describe collections so people can discover them. Languages: Latin is particularly useful, though not always essential. Palaeography: how to read handwriting. Soft skills. You will need to be able to communicate effectively orally and in writing, to work well in a team but to manage your own time, including conflicting priorities, and to be able to help users of all kinds and levels of experience. Digital literacy – encompasses a huge range of skills and will continue to develop. Advocacy and evidence-based practice. Understanding statistics is essential! Knowledge of legal and contractual issues. But please don’t be too put off by these huge lists. Skills are built up gradually and not all jobs require everything all at once. There are many ways to improve your skills, even if you are unable to attend conferences or training events. Consider apps (very useful for languages), online learning resources, webinars, reading printed books, not to mention the resources which appear below under ‘Connections’. Your job title may not involve Special Collections, but maybe you can find a way to work with collections in the organisation. If you are working in a library, there are probably distinctive collections somewhere on the premises. Consider talking to colleagues and managers about your interests so they can help you find opportunities. Some element of voluntary work could be helpful and would show evidence of commitment to the sector as well as boosting your skills. Conference bursaries. Most significant library conferences offer these, in exchange for helping out and/or writing a report about your experience. Join and engage with relevant groups, such as CILIP Rare Books and Special Collections Group and the Historic Libraries Forum. Social media platforms: full of librarians, archivists, scholars and enthusiasts sharing collections objects and discussing the joys and challenges of their work. Watch out for ‘chats’ and other themed events. I recommend #uklibchat, #archivehour, and, coming up later in November, #explorearchives. You can also join in with conferences via their hashtags, such as the recent #rbscg17 and forthcoming #dcdc17. Mailing lists reach all professionals including those who aren’t active on social media. Lis-rarebooks is a low-traffic list populated by helpful rare book people. In recent years more and more librarians and heritage professionals have set up their own events and groups. Watch out for such activities as teachmeets, show and tell, and unconferences. These often take place out of working hours so folk in less relevant jobs can still attend. See for example Heritage Show and Tell. Most Special Collections jobs are in public sector organisations, which recruit and select via automated and standardised processes which aim to be fair to all applicants. You need to engage with these systems but make sure you stand out. Above all, if you are asked for an example during the application process or an interview, give a strong, real one that illustrates your skills. Employers are looking for specific examples not vague generalisations. Do draw on whatever work experience you have, for example dealing with difficult customers or teamwork can be demonstrated well by experiences from shop or bar work. It took me eight years from qualifying as a librarian to becoming a full-time Special Collections person, so I do understand that it is not easy. It is worth reflecting on what attracts you about Special Collections work, and being open to other opportunities that may give you similar job satisfaction. Many roles in heritage, education and the arts offer similar rewards. Alison Cullingford is the author of the Special Collections Handbook, now in its second edition. She is Special Collections Librarian at the University of Bradford and loves writing, blogging and tweeting about the challenges and rewards of working with heritage. Her website is https://specialcollectionshandbook.com/ and she tweets as @speccollbrad. This post was inspired by talks and discussions at CILIP Rare Books Group New Professionals Days, held in 2015 and 2017. Thanks to all who were involved, and follow the story of the days via the #RBNewProfs hashtag. 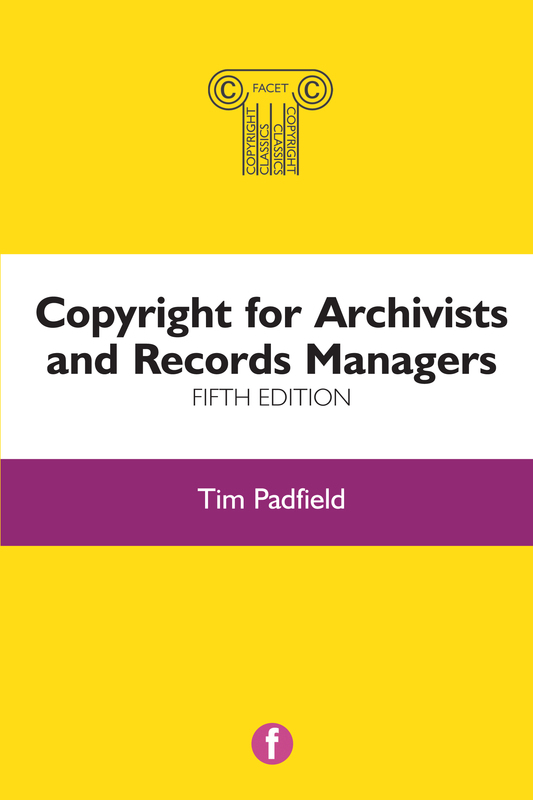 An open access chapter from the new edition of Alison Cullingford’s Special Collections Handbook is now available to view and download from the Facet Publishing website. Causes and impact of emergencies in Special Collections, with particular emphasis on fire and water damage. How to prevent and prepare for emergencies via the emergency plan. Issues in responding to and recovering from emergencies. Fully updated since the first edition, the Handbook covers all aspects of special collections work: preservation, developing collections, understanding objects, emergency planning, security, legal and ethical concerns, cataloguing, digitization, marketing, outreach, teaching, impact, advocacy and fundraising. More information about the book and the open access chapter are available on the Facet website.